In FOX's 'Sleepy Hollow,' actor Tom Mison plays Ichabod Crane<br /> (right) alongside Nicole Beharie as police Lt. Abbie Mills. Everyone loves a scary story, right? So when a major television network repurposes a classic, chilling tale for a modern audience, it has the makings of TV gold. This Halloween, it turns out FOX's Sleepy Hollow is also a boon for local businesses in the New York town that bears the same name. OK, prepare to suspend your disbelief: The mystery-adventure drama is based loosely on Washington Irving's 1820 short story The Legend of Sleepy Hollow and follows the character of Ichabod Crane, who has woken up after sleeping for 250 years and is now partnered with police Lt. Abbie Mills in modern day Sleepy Hollow, N.Y. The mismatched pair finds themselves tracking and battling Irving's infamous Headless Horseman -- only, in this story, the horseman is one of the Four Horsemen of the Apocalypse who are on a murderous rampage. Dramatic, right? The show's premiere episode, which debuted last month, drew more than 10 million viewers. Now five episodes in, FOX has already renewed Sleepy Hollow for a second season. Even in these early weeks, the show has had a significant impact on local businesses in Sleepy Hollow, a sleepy village within Tarrytown, N.Y. -- a town nestled quietly on the eastern bank of the Hudson River about 30 miles north of Manhattan. 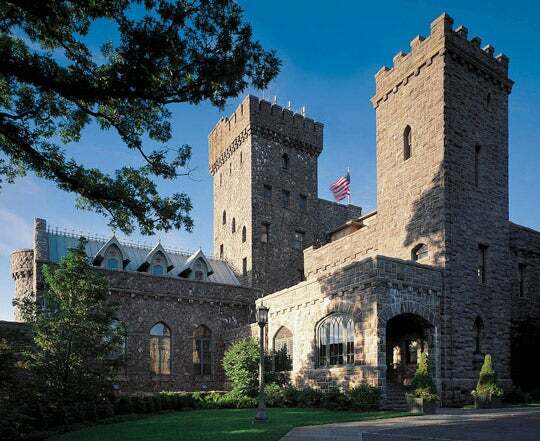 Privately-owned Castle Hotel & Spa, a refurbished turn-of-the-century castle on a sprawling hilltop in Tarrytown, N.Y.
"The response is overwhelming," says John Sardy, executive director of the Greater Sleepy Hollow Tarrytown Chamber of Commerce. While production doesn't actually happen in Sleepy Hollow, the attention from the show has attracted a new wave of tourism to the area. Many of the seasonal events -- like the Historic Hudson Valley's "Horseman's Hollow" performance and the Great Jack O'Lantern Blaze -- have sold out in record time, and sales at area businesses has grown "exponentially," he says. Sleepy Hollow, of course, is no stranger to Hollywood and other media attention. The early 1970s films House of Dark Shadows and Night of Dark Shadows were shot in Tarrytown. And actor Johnny Depp starred as Ichabod Crane in the 1999 film called Sleepy Hollow, an adaptation of Irving's story. But FOX's new TV show is bringing in tourists from all over the country. 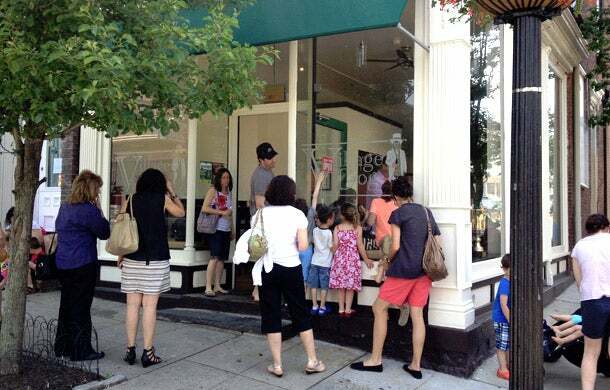 "Any time you have something in the mainstream drawing attention to 'The Legend,' I think it spikes interest in a wider area and draws more people to the towns," says Carl Van Dekker, co-owner and manager of Tarrytown's artisanal hot dog shop the Village Dog. "It definitely feels like the streets are busier than they were last year." Artisanal hot dog shop the Village Dog on Main Street in Tarrytown, N.Y.
At the privately-owned Castle Hotel & Spa -- a refurbished turn-of-the-century castle perched above the Hudson on a sprawling hilltop in Tarrytown -- evidence of the tourism push is tangible. General manager Gilbert Baeriswil says the establishment has already sold at least 70 more "Fall Blaze Getaway" packages (starting at $650 per day on weekdays) than last year. "The Hudson Valley is hotter than ever," Baeriswil says. "Our occupancy has maintained itself in the high 80 percent for the remainder of the year." And, so far, the flux of curious tourists asking questions and exploring the area's history has been a welcome change to some business owners. "I have had a few tourists mention the show when they come to the shop, and I've actually found it rather endearing," says Van Dekker of Village Dog. He recalls one couple who drove up from Manhattan who politely turned to him for tips on where to go, what to see and what to buy in town. "It was pretty obvious they weren't quite expecting to find so much diversity and such great businesses in a small town in the suburbs," he says. "They didn't have a lot of time but they had to see the places that inspired the story … it put a smile on my face for the rest of the day."